We spend the majority of our funds on long-term development projects which are delivered through our talented local partners rooted in poor communities. We speak out for social justice through our work on campaigning and advocacy to tackle the root causes of poverty. We also respond to quickly emergencies through international humanitarian aid partners, Methodist Church links and our own partners when appropriate. Find out more about our work. Last year, 82.5p in every pound we spent was used for our charitable work supporting people in the world’s poorest communities. We aim to keep our administration costs low and look for ways of making our work more cost effective. When you give to our emergency appeals 100% of that money is restricted to the appeal and we reduce our administration costs to 12p in every pound. This figure compares favourably with similar organisations and ensures we have the core funding required to run our emergency appeals and organisation effectively, maximising our impact on the ground. 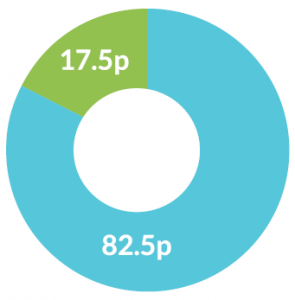 Find out more about our income and expenditure in our latest Annual Review. Donations that are not designated for a specific project are extremely valuable and enable us to respond wherever the need is greatest. We also welcome donations for specific countries or partners. All We Can is registered with the Fundraising Regulator, the independent regulator of charitable fundraising and is committed to best practice in fundraising. We aim to adhere to the Code of Fundraising Practice, which is held by the Fundraising Regulator.